What better way to kick off the Year of the Rabbit than by eating one? Herewith the Wandering Palate’s rabbit casserole, perfected over a lifetime and inspired by a national overabundance of rabbits and wild thyme as well as excellent pinot noir in Central Otago, New Zealand. In my formative years down on the farm in Te Awamutu in New Zealand, rabbits were in plague proportions and weekly night-time shoots were necessary to keep them at bay. The hares were so big that they used to open the farm gates themselves. There were no animals whatsoever in New Zealand prior to the arrival of humans. As the last country on earth to be settled, it was totally isolated for 80 million years and inhabited only by birds, insects and marine life. Rabbits were introduced to New Zealand in the 1830s largely for game sport, to remind the British settlers of home. With no natural predators they bred out of control, but never made it on to the top of the menu either, assumedly due to an abundance of affordable chicken, lamb and beef. The irony is that today New Zealand white rabbit is the most popular breed of eating rabbit in the world. It would be entirely different if there were a larger contingent of Italian and French inhabitants, as assuredly rabbit would be a staple and cooked in every way imaginable. You do see rabbit on the menu of top New Zealand restaurants, sometimes as a terrine, or rabbit loin is popular, roasted with bacon wrapped around it, as it is such a lean meat that it needs the fat to keep it moist. Being so lean and healthy, literally there is very little fat on a rabbit, making normal roasting difficult unless pot-roasted with wine, chicken stock and vegetables. You can grill it successfully if marinated in oil and herbs and ragouts are certainly the best method for flavour. My recipe is an adapted casserole and a one-pot dish that is so simple it’s embarrassing to make such a fuss about. The thing is it is so damn good that whenever I cook it, people hound me for the recipe. I have to mention from the outset, like all good casseroles and curries, if you have the opportunity, cook it the day before as there is no substitute for a night in the fridge to let the flavors infuse the meat with a seemingly more profound overall flavor. If it’s not overnight, you will still need to plan and start well ahead as slow braising is required, cooked to quickly the rabbit will be dry and tough. Around 4 hours is sufficient on very low heat, but you can get away with 3 or so if pushed. I know some people cannot stomach rabbit. For some it’s the fluffy bunny issue, others think it’s going to taste gamy or simply strange, (like frog) as an unknown. The fact is it tastes a lot like free range chicken or turkey, perhaps with a little more depth and frankly, a superior flavour to most poultry. When you buy your rabbit from the butchers, ask them to chop it up into large pieces, normally 6 to 8 pieces, partitioned into leg/thigh/ribcage. Wild rabbit is better if you can get it, otherwise farmed will fine. Generally I cook this more often when I have access to wild rabbit, when we are in Provence or Tuscany staying at a villa with a decent kitchen, or in Melbourne where you can get it readily from the Chicken Pantry at the Queen Victoria Market. 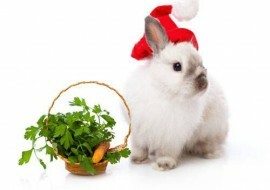 Commercially farmed rabbit is becoming more widely available in Asia, generally from France or Holland. It is certainly more inspired by Provencal flavors, with lots of wild thyme and sage, which is redolent in the air, the oils and scents released in the summer heat. Central Otago has this very same scent in the air. The hills and vineyards are carpeted in wild thyme, which is fabulously pungent and aromatic and great to cook with. Just like the rabbits, thyme was introduced and as a non-native, was considered a weed. Yet both of these are the core ingredients to a wholesome casserole. The other core ingredient is red wine, and while the original recipe calls for a bottle of Pierre Clavel Le Mas Coteaux de Languedoc (grenache, carignan, syrah) with its infusion of dried herbs in aroma and flavor, this adaption is calls for a young and spicy Central Otago Pinot Noir, purposely intended to get the region’s winemakers and all those pinot noir enthusiasts, no matter where you are, to embrace this menu. And for those of you who balk at using a good bottle of red for cooking, all I can say is, any successful dish starts with the very best ingredients. While this recipe caters for around eight people, any leftovers can be used the following day and what I like to do is remove the meat off the bone, shredding it by hand and adding it and the sauce to fusilli pasta as a dish. You can also freeze the remaining leftovers, always handy to heat up for one or two people for diner; otherwise it is simple enough to pare the recipe down to one rabbit. * 1 bottle Pinot Noir Rose – to drink whilst cooking! * Wash button mushrooms – I like to use brown ones and add whole but you can use any mushroom you like really, indeed when we are in Italy or France I use whatever local fungus I can get my hands on! It is important to sear the rabbit to seal in the flavour, but do not cook, you just want it to be sealed and look a little browned on the outside. * Coat the pieces of rabbit in flour one by one, placing in the casserole dish as you go. Do not crowd the pan, you will not be able to cook all at once, do in batches. * Put you seared pieces of rabbit to one side and make sure you pour in all the juices when returning to the casserole. * Return casserole pan to low heat and add in slice onions and soften, never brown onions, just a gentle, slow cooking to make then soft and concentrate the flavours. * Add Pinot Noir to the pan, which is what is called deglazing, effectively getting all the brown bits off the bottom of the casserole and allow to simmer (never boil) for 5 minutes. * Return the rabbit to the casserole dish ensuring that the meat is submerged as best you can. Add another few pinches of salt and some more pepper -grind until your arm aches, more the better! * Place lid on casserole with slightly ajar, and that’s just a tiny gap to allow reduction of the sauce. Set heat/gas flame at the lowest simmer possible, and cook for around 3 hours, checking constantly that it is cooking SLOWLY and turn the rabbit pieces, giving a good stir. * About 3 hours in, remove the rabbit pieces from the casserole and set aside. * Add in the olives and mushrooms and a couple of slugs of Sherry vinegar – optional, but I love this stuff, it gives a tangy element to the sauce similar to what balsamic does with oil and salads. * Leave lid off and turn up heat to a more constant simmer – NOT boiling and reduce the sauce to desired consistency, about another 30 to 40 minutes. The thickness of the sauce is a personal thing. I don’t care much for really thick sauces with this type of casserole and never add any thickening agents, buggars up the flavours. * Add back the rabbit pieces (gently, carefully, as they will be very tender by now, and make sure all the juices go in). Add in the flageot beans, couple of cans, and simmer very gently for another 15 minutes. You don’t need to cook the beans; well they are already cooked if from a tin, just warm through. They are also optional and I tend to only use them if I am intending this to be a one course dinner, fills out the dish. You should be preparing these whilst the casserole is cooking and there are several options in terms of what you can serve alongside the casserole depending on if it’s a one course meal, or part of banquet, where you would reduce the accompaniments. * French Beans – sort of mandatory with these types of dishes, and you got to have your greens. I like to use the small, freshest organic beans I can find and cook in a pan with garlic. Another option is to slice the beans finely and mix with some finely sliced shallots, toss with olive oil and lots of pepper grinds, salt and place in ceramic baking dish and cook until soft. * Butter Beans – I love butter beans as a side dish, but don’t serve these if you already have flageot beans in the casserole, a bit too much beans! * Spiral Pasta (optional) – always an easy, well received accompaniment. * Mash Potato (optional) I could live on mashed spuds, and it’s wonderfully cuddly if its winter and the mashed potato soaks up the sauce – very filling though. * Roasted Sweet Potato Mash (optional) – Good old kumara, I like the softer, orange fleshed variety and they taste even better roasted then mashed, skin and all. * Cous Cous (optional) – This goes well too, in the sense of soaking up the sauce and really easy – i.e. use the pre-cooked 2 minute version. There is no question, the best dishes are the very best of ingredients cooked simply and yet it is not necessarily easy, with the devil in the detail and slow cooking obviously requires planning and patience. This is the sort of dish that is great for convivial, casual dinner parties and I tend to cook it with the intention of there being no starter, maybe a bit of terrine to nibble on prior to setting down. Personally, I find it much more enjoyable following on with some really good cheese than fussing over an entree. Needless to say, Misha’s Vineyard “The High Note” Central Otago Pinot Noir is mandatory with this dish.